I love the fact that I own eyeshadows even if I am not bold enough to wear them on a daily basis but wear them only on special occasions. But I felt MAC shadows were pretty expensive & since I do not use eyeshadows on a regular basis didn’t really wanna spend on them & hence chose brands like Revlon , Maybelline. Way back in 2011-2012 I always had the feeling, after seeing Youtube videos, that there is something wrong with my shadows or my lids as the colors never used to pop up like the Youtube gurus. 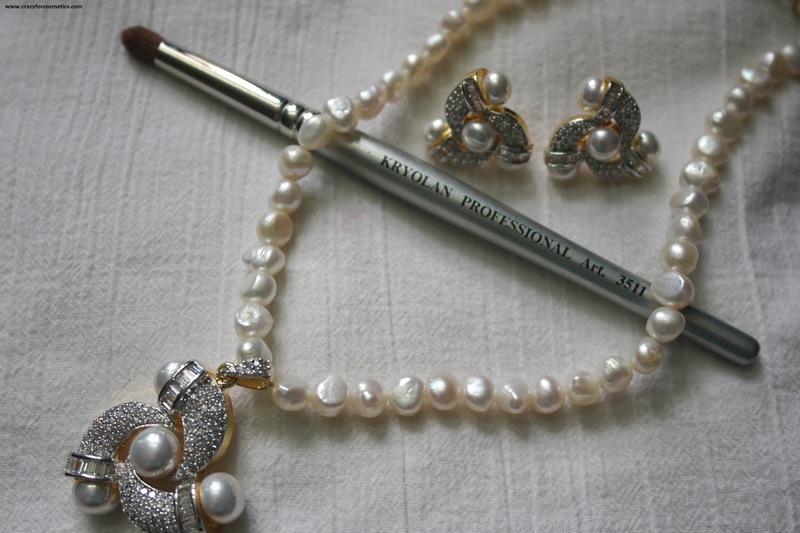 But later I have come to realize that the problem lies in the brushes that we use & not on the eyeshadows. 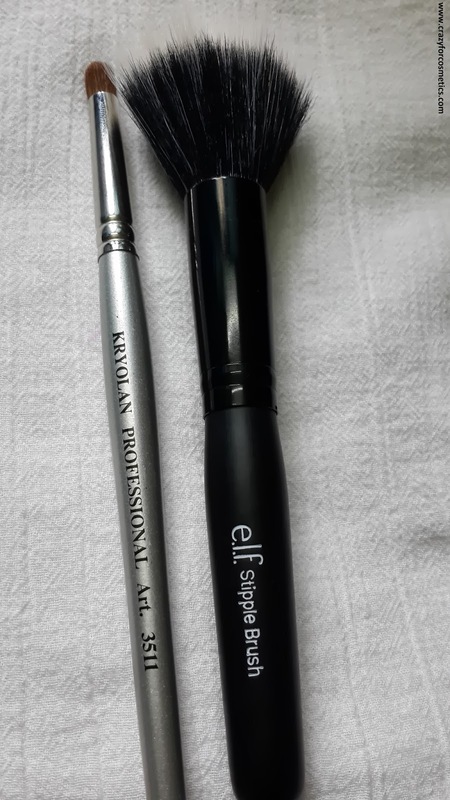 Yes,Kryolan Professional Art brush no 3511 is one of my recent discoveries & I am really happy that I bought it.I started loving all my old eyeshadows now since I use this brush to apply them & the colors pop.. The brush comes with a grey plastic handle & synthetic fibre bristles which actually feel like natural fibre. 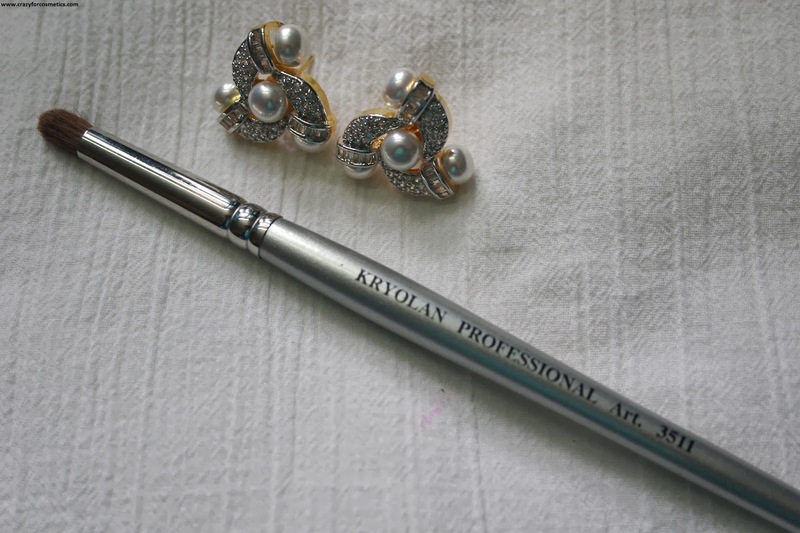 The text Kryolan Professional Art brush No 3511 is printed on the handle. 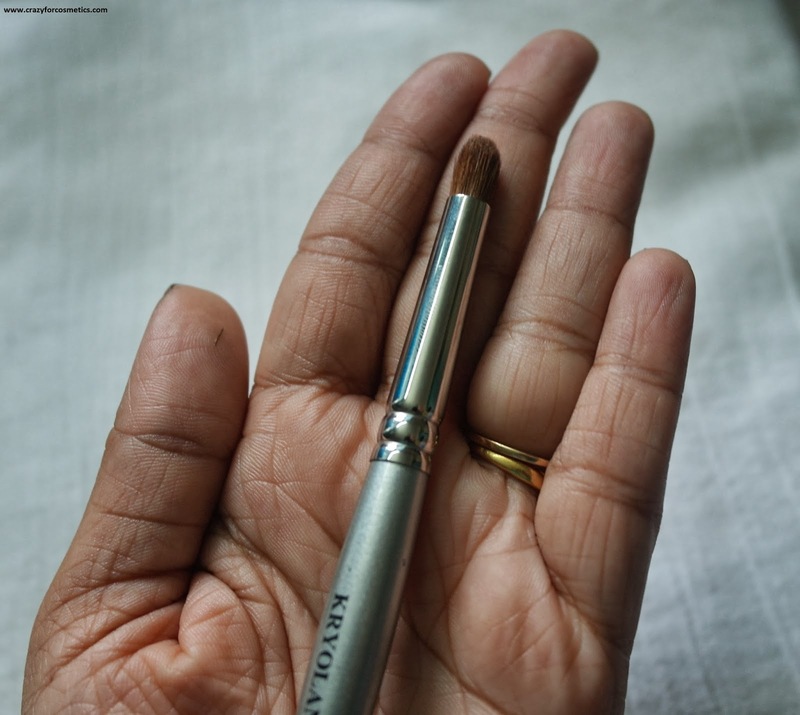 The brush is very light-weight,comfortable to work with and is definitely sturdy.The bristles are densely packed & help in picking up colors to a great extent. 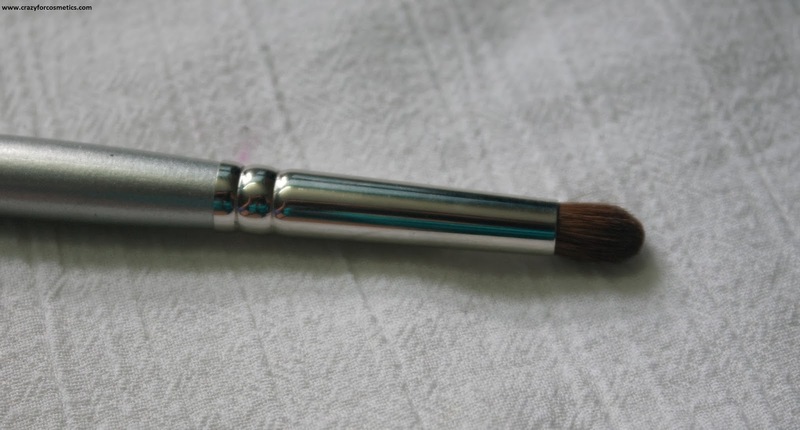 I picked up this brush to mainly use it for the crease area or for applying eyeshadow to a smaller portion because of the rounded tip, but now I feel it can be used even as a shader brush. 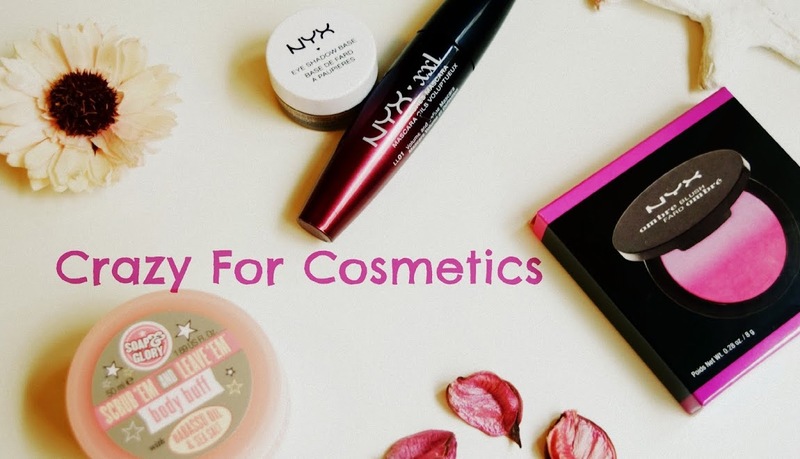 It is made of synthetic fiber & hence picks up colors to a great extent,does not retain the colors & helps in transferring the colors completely to the lids. It is such a versatile brush & I mostly use it for the applying eyeshadow to the outer lid area & crease area. The bristles are extremely soft & feel like natural fibers. The brush is priced at Rs 135 (I regret for not buying atleast 2) & can be easily cleaned. There is no shedding even after washing the brush 5 to 6 times. 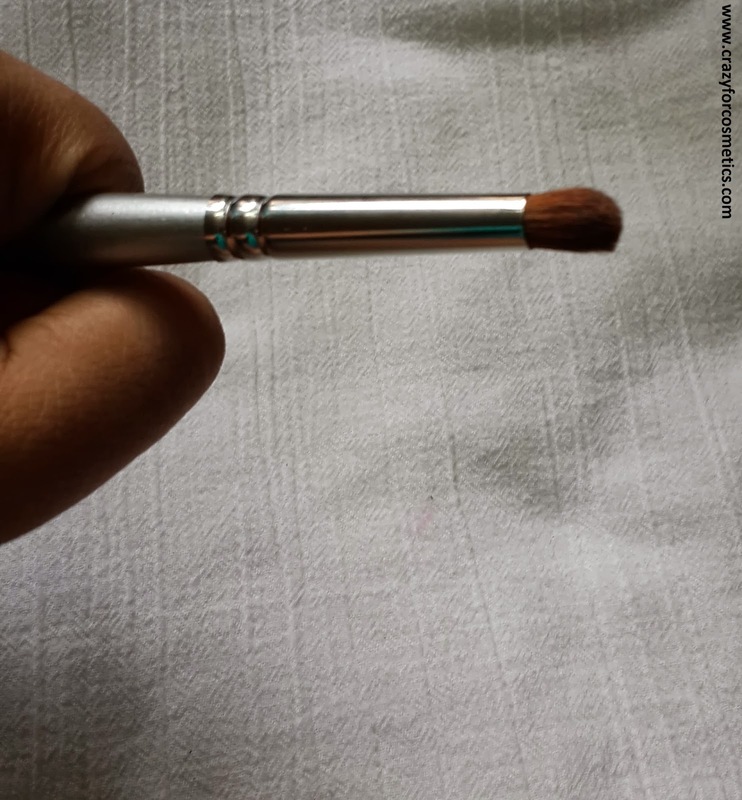 1 : Slightly press the tip of the brush on the color of your choice & use it in the outer V area or crease area. Use dabbing motions for maximum color pay off & windshield wiping motion for blending purpose. Kryolan has exclusive showrooms in certain malls.In Chennai, Kryolan has a showroom in Ramee Mall, Chennai.Kryolan products are also sold by some wholesale dealers like Angels in Egmore. 4 : Sturdy handle & bristles, no fall out. The only con I can think of is availability. 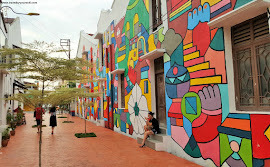 If only Kryolan sold its products in other malls & counters in Lifestyle & Shopper's Stop, it would be good.